Guam ( /ˈɡwɑːm/ ( listen ); Chamorro : Guåhån [ˈɡʷɑhɑn] ) is an unincorporated and organized territory of the United States in Micronesia in the western Pacific Ocean. It is the easternmost point and territory of the United States, along with the Northern Mariana Islands. The capital city of Guam is Hagåtña and the most populous city is Dededo. 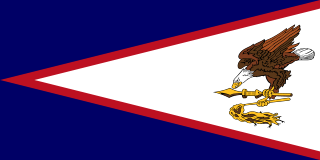 The inhabitants of Guam are called Guamanians, and they are American citizens by birth. Indigenous Guamanians are the Chamorros, who are related to other Austronesian natives of Eastern Indonesia, the Philippines, and Taiwan. Guam has been a member of the Pacific Community since 1983. Inarajan is a village located on the southeastern coast of the United States territory of Guam. The village's original Chamoru name, Inalåhan, was altered when transliterated during Spanish control of the island. Diego Luis de San Vitores was a Spanish Jesuit missionary who founded the first Catholic church on the island of Guam. He is responsible for establishing the Christian presence in the Mariana Islands. He is a controversial figure to some today due to his conflict with the indigenous Chamorro leader Mata'pang. American Samoa is an unincorporated territory of the United States located in the South Pacific Ocean, southeast of Samoa. Its location is centered around 14.2710° S, 170.1322° W. It is on the eastern border of the International Date Line, while independent Samoa is west of it. Despite Magellan's visit, Guam was not officially claimed by Spain until January 26, 1565, by General Miguel López de Legazpi. :46 From 1565 to 1815, Guam and the Northern Mariana Islands, the only Spanish outposts in the Pacific Ocean east of the Philippines, were an important resting stop for the Manila galleons, a fleet that covered the Pacific trade route between Acapulco and Manila. :51 To protect these Pacific fleets, Spain built several defensive structures that still stand today, such as Fort Nuestra Señora de la Soledad in Umatac. Guam is the biggest single segment of Micronesia, the largest islands between the island of Kyushu (Japan), New Guinea, the Philippines, and the Hawaiian Islands. The United States returned and fought the Battle of Guam from July 21 to August 10, 1944, to recapture the island from Japanese military occupation. 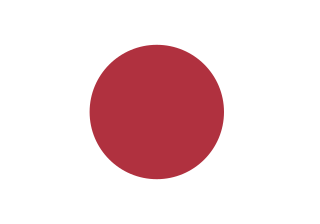 More than 18,000 Japanese were killed as only 485 surrendered. Sergeant Shoichi Yokoi, who surrendered in January 1972, appears to have been the last confirmed Japanese holdout for 28 years in the forested back country on Guam. 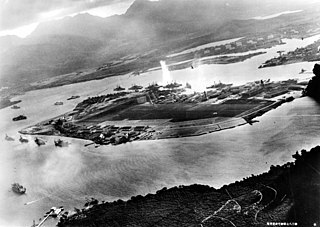 The United States also captured and occupied the nearby Northern Marianas Islands. Guam lies between 13.2° and 13.7°N and 144.6° and 145.0°E. It is 30 miles (50 kilometers) long and 4 to 12 miles (6 to 19 kilometers) wide, giving it an area of 212 square miles (549 square kilometers) (three-fourths the size of Singapore) and making it the 32nd largest island of the United States. It is the southernmost and largest island in the Marianas as well as the largest in Micronesia. 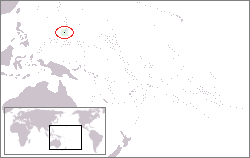 Guam's highest point is Mount Lamlam at 1,334 feet (407 meters). Challenger Deep, at 35,797 feet (10,911 meters) the deepest surveyed point in the Oceans, lies southwest of Guam. Guam is located in Typhoon Alley  and it is common for the island to be threatened by tropical storms and possible typhoons during the wet season. The highest risk of typhoons is during August through October. They can, however, occur year-round. The most intense typhoon to pass over Guam recently was Super Typhoon Pongsona, with sustained winds of 144 miles per hour (232 km/h), gusts to 173 miles per hour (278 km/h), which slammed Guam on December 8, 2002, leaving massive destruction. The wettest month on record at Guam Airport has been August 1997 with 38.49 inches (977.6 mm) and the driest February 2015 with 0.15 inches (3.8 mm). The wettest calendar year has been 1976 with 131.70 inches (3,345.2 mm) and the driest 1998 with 57.88 inches (1,470.2 mm). The most rainfall in a single day occurred on October 15, 1953 when 15.48 inches or 393.2 millimeters fell. Since Typhoon Pamela in 1976, wooden structures have been largely replaced by concrete structures. During the 1980s wooden utility poles began to be replaced by typhoon-resistant concrete and steel poles. After the local Government enforced stricter construction codes, many home and business owners built their structures out of reinforced concrete with installed typhoon shutters. Two aspects of indigenous pre-Hispanic culture that withstood time are chenchule' and inafa'maolek. Chenchule' is the intricate system of reciprocity at the heart of Chamorro society. It is rooted in the core value of inafa'maolek. Historian Lawrence Cunningham in 1992 wrote, "In a Chamorro sense, the land and its produce belong to everyone. Inafa'maolek , or interdependence, is the key, or central value, in Chamorro culture ... Inafa'maolek depends on a spirit of cooperation and sharing. This is the armature, or core, that everything in Chamorro culture revolves around. It is a powerful concern for mutuality rather than individualism and private property rights." 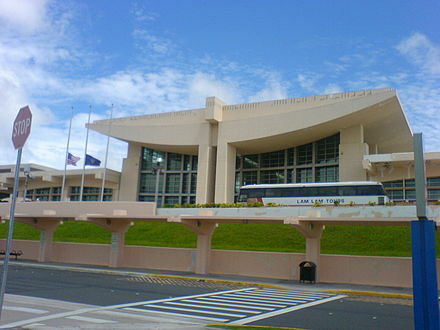 The national team plays at the Guam National Football Stadium and are known as the "matao" team. Matao is the definition of highest level or "noble" class; the matao team have done exceptionally well under the head coach Gary White. As of 2016 [update] , the Matao is led by Darren Sawatzky, the current head coach. The top football division in Guam is the Guam Men's Soccer League. Rovers FC and Guam Shipyard are the league's most competitive and successful clubs, both have won nine championships in the past years. In a 1982 plebiscite, voters indicated interest in seeking commonwealth status. The island has been considering another non-binding plebiscite on decolonization since 1998. Most of the island has state-of-the-art mobile phone services and high-speed internet widely available through either cable or DSL. 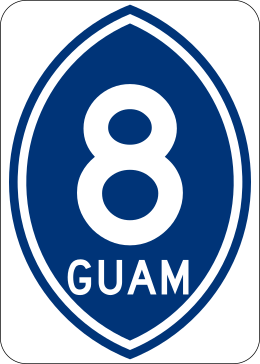 Guam was added to the North American Numbering Plan (NANP) in 1997 (country code 671 became NANP area code 671),  removing the barrier of high-cost international long-distance calls to the U.S. mainland. Guam is served by the Antonio B. Won Pat International Airport. 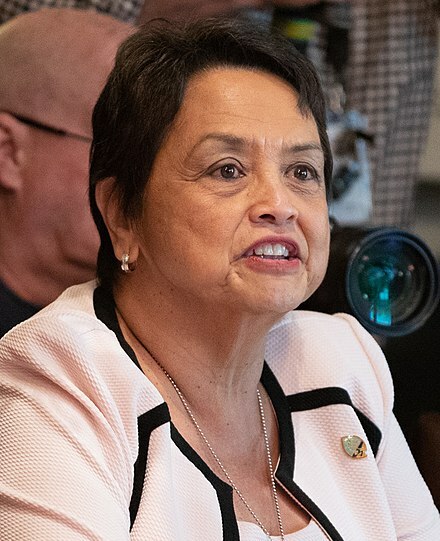 The island is outside the United States customs zone,  so Guam is responsible for establishing and operating its own customs and quarantine agency and jurisdiction. Therefore, the U.S. Customs and Border Protection only carries immigration (but not customs) functions. Since Guam is under federal immigration jurisdiction, passengers arriving directly from the United States skip immigration and proceed directly to Guam Customs and Quarantine. An infestation of the coconut rhinoceros beetle (CRB), Oryctes rhinoceros , was detected on Guam on September 12, 2007. CRB is not known to occur in the United States except in American Samoa. Delimiting surveys performed September 13–25, 2007, indicated that the infestation was limited to Tumon Bay and Faifai Beach, an area of approximately 900 acres (3.6 km2). Guam Department of Agriculture (GDA) placed quarantine on all properties within the Tumon area on October 5 and later expanded the quarantine to about 2,500 acres (10 km2) on October 25; approximately 0.5 miles (800 m) radius in all directions from all known locations of CRB infestation. CRB is native to Southern Asia and distributed throughout Asia and the Western Pacific including Sri Lanka, Upolu, Samoa, American Samoa, Palau, New Britain, West Irian, New Ireland, Pak Island and Manus Island (New Guinea), Fiji, Cocos (Keeling) Islands, Mauritius, and Reunion. Guam has no native amphibian species, but now a total of eight amphibian species has been established in Guam. Litoria fallax (native to the eastern coast of Australia) has been present in Guam since 1968, and Rhinella marina (the cane toad) was brought to the island in 1937. The other 6 amphibian species, namely Hylarana guentheri (native to mainland Asia), Microhyla pulchra (native to mainland Asia), Polypedates braueri (endemic to Taiwan), Eleutherodactylus planirostris (native to the Caribbean), Fejervarya cancrivora (the Guam variety being most closely related to F. cancrivora found in Taiwan), and Fejervarya limnocharis (native to Southeast Asia), have been in Guam since 2003. Many species were likely inadvertently introduced via shipping cargo, especially from Taiwan, mainland China, and Southeast Asia. In southern Guam, non-native grass species dominate much of the landscape. Although the colorful and impressive flame tree ( Delonix regia ) is found throughout the Marianas, the tree on Guam has been largely decimated. The University of Guam (UOG) and Guam Community College, both fully accredited by the Western Association of Schools and Colleges, offer courses in higher education. UOG is a member of the exclusive group of only 76 land-grant institutions in the entire United States. Pacific Islands University is a small Christian liberal arts institution nationally accredited by the Transnational Association of Christian Colleges and Schools. They offer courses at both the undergraduate and graduate levels. 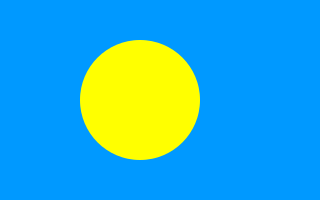 The history of Guam involves phases including the early arrival of Austronesian people known today as the Chamorros around 2000 BC, the development of "pre-contact" society, Spanish colonization in the 17th century and the present American rule of the island since the 1898 Spanish–American War. Guam's history of colonialism is the longest among the Pacific islands. Pacific Islands Americans, also known as Oceanian Americans, Pacific Islander Americans or Native Hawaiian and/or other Pacific Islander Americans, are Americans who have ethnic ancestry among the indigenous peoples of Oceania. For its purposes, the U.S. Census also counts Indigenous Australians as part of this group. Prostitution in Guam is illegal but is practised covertly, especially in massage parlours. Although massage parlours are sometimes raided, generally the authorities turn a blind eye. 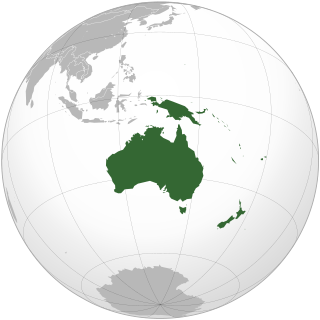 1 2 3 4 5 6 7 "Australia-Oceania :: Guam (Territory of the US)". The World Factbook. Central Intelligence Agency. Archived from the original on December 3, 2013. Retrieved August 26, 2015. ↑ Filling Gaps in the Human Development Index Archived October 5, 2011, at the Wayback Machine , United Nations ESCAP, February 2009. ↑ "U.S. Territories". DOI Office of Insular Affairs. Archived from the original on February 9, 2007. Retrieved February 9, 2007. ↑ "DEFINITIONS OF INSULAR AREA POLITICAL ORGANIZATIONS". Archived from the original on July 21, 2011. Retrieved November 14, 2007. CS1 maint: BOT: original-url status unknown (link) Office of Insular Affairs . Retrieved October 31, 2008. 1 2 3 4 5 Rogers, Robert F. (1995). Destiny's Landfall: A History of Guam. Honolulu: University of Hawaii Press. ISBN 978-0-8248-1678-0. ↑ War Restitution Act : hearing before the Subcommittee on Insular and International Affairs of the Co... |National Library of Australia Archived April 6, 2010, at the Wayback Machine . Catalogue.nla.gov.au (September 20, 1994). Retrieved June 13, 2012. ↑ "Statement of David B. Cohen Deputy Assistant Secretary of the Interior for Insular Affairs Before the House Committee on Resources Regarding the Report of the Guam War Claims Review Commission |July 21, 2004 Archived January 20, 2013, at the Wayback Machine ." Office of Insular Affairs . Retrieved September 19, 2012. ↑ Higuchi, Wakako (2001). "The Japanisation Policy for the Chamorros of Guam, 1941–1944" (PDF). The Journal of Pacific History. 36 (1): 19–35. doi:10.1080/00223340120049424. Archived from the original (PDF) on January 20, 2013. ↑ "Guam police arrest suspect in memorial theft". Marine Corps Times . Associated Press. July 7, 2007. Archived from the original on May 15, 2011. Retrieved April 5, 2010. ↑ Mack, Doug (2017). The Not-Quite States of America: Dispatches From the Territories and Other Far-Flung Outposts of the USA. W.W. Norton. p. 114. ISBN 9780393247602. ↑ Grabowski, John F. (1992). U.S. Territories and Possessions (State Report Series). Chelsea House. p. 39. ISBN 9780791010532. 1 2 3 4 5 6 7 8 9 10 11 12 13 14 15 16 17 18 19 20 21 22 23 24 25 26 27 28 29 30 31 32 Carano, Paul; Sanchez, Pedro C. (1964). 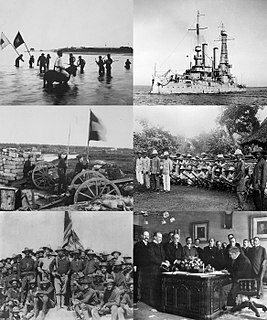 A Complete History of Guam. Tokyo: Charles E. Tuttle Company. OCLC 414965. 1 2 Nowell, Charles E. (1962). Magellan's voyage around the world; three contemporary accounts. Evanston: Northwestern University Press. OCLC 347382. ↑ Kristofferson, Nicholas D. (September 26, 1997). "Shoichi Yokoi, 82, Is Dead; Japan Soldier Hid 27 Years". The New York Times. Archived from the original on February 1, 2009. ↑ Rogers, Robert F. (1995). Destiny's Landfall: A History of Guam. Honolulu: University of Hawaii Press. ↑ Curry, Tom (May 28, 2008). "Nominating, but not voting for president: Clinton-Obama struggle spotlights Guam, American Samoa, Puerto Rico". NBC News. Archived from the original on August 15, 2016. Retrieved August 19, 2016. ↑ US, Japan, Australia to hold Cope North 2017 February 9, 2017 Guam Post Retrieved March 27, 2017. ↑ Horton, Alex (August 9, 2017). "Why North Korea threatened Guam, the tiny U.S. territory with big military power". The Washington Post. ↑ Daniels, Jeff (August 10, 2017). "North Korea's missile threat to Guam crafted for 'maximum drama,' says former CIA analyst". CNBC News. Retrieved August 11, 2017. ↑ "Geography of Guam". Official site of Guam, April 19, 2014. Retrieved April 19, 2014, from "Archived copy". Archived from the original on October 27, 1996. Retrieved May 2, 2016. CS1 maint: Archived copy as title (link). ↑ Mueller, Charles S.; et al. "Seismic Hazard Assessment for Guam and the Northern Mariana Islands" (PDF). U. S. Geological Survey. Retrieved September 23, 2018. ↑ "Home page of the Anahatan volcano". USGS-CNMI, November 8, 2007. Retrieved November 8, 2007 from "Archived copy". Archived from the original on October 13, 2007. Retrieved November 8, 2007. CS1 maint: Archived copy as title (link). ↑ "Climatological Report". National Weather Service. February 26, 2014. Archived from the original on March 7, 2014. Retrieved February 26, 2014. ↑ "National Weather Service Dedicated Forecast Office in Typhoon Alley". US NOAA NWS. April 27, 2000. Archived from the original on January 7, 2013. Retrieved August 19, 2012. ↑ "Guam Catastrophe Model". Risk Management Solutions. Archived from the original on February 7, 2011. Retrieved June 16, 2007. ↑ "Winds". PacificWorlds.com. Archived from the original on August 27, 2007. Retrieved June 16, 2007. ↑ "NOWData – NOAA Online Weather Data". National Oceanic and Atmospheric Administration. Archived from the original on October 31, 2012. Retrieved November 17, 2012. ↑ "Climatological Information for Guam, Pacific Islands, United States". Hong Kong Observatory. Archived from the original on January 20, 2013. Retrieved November 17, 2012. ↑ FIFA.com. "2018 FIFA World Cup Russia™ - Qualifiers - Asia - FIFA.com". FIFA.com. Archived from the original on September 5, 2015. Retrieved September 12, 2015. ↑ Jordan, Mary; Sullivan, Kevin (January 2, 1999). "KMART IS AN EASY SELL ON GUAM". Washington Post. Archived from the original on November 14, 2016. Retrieved August 9, 2017. ↑ "2004 Guam Yearbook" (PDF). Archived from the original (PDF) on October 29, 2005. Retrieved July 19, 2007. ↑ Kerrigan, Kevin. "Guam Will Be The Pacific Hub for Merged Airlines". Archived from the original on May 11, 2010. Retrieved August 20, 2016. . Pacific News Center (May 5, 2010). Retrieved October 5, 2010. "Continental Micronesia is Guam's single largest employer. About 1400 jobs here on dependent on the airline." ↑ "Company Information." (Archive) United Continental Holdings. Retrieved November 16, 2012. ↑ Blair, Chad (May 30, 2008). "'Air Mike' a rare bright spot in local aviation". Pacific Business News. Archived from the original on June 17, 2008. ↑ "Commission on Decolonization 2014". Guampedia. Guampedia. December 3, 2016. Archived from the original on February 28, 2017. Retrieved February 27, 2017. ↑ Natividad, Lisalinda (May 30, 2012). "Statement of the Non-Self Governing Territory of Guam to the Pacific Regional Seminar on the implementation of the third decade for the eradication of colonialism: current realities and prospects in Quito, Ecuador" (PDF). United Nations. Retrieved February 21, 2019. ↑ Raymundo, Shawn (December 8, 2016). "Commission to launch series of decolonization meetings". Pacific Daily News. Pacific Daily News. Retrieved February 27, 2017. ↑ "Secretary-General Urges Concrete Action to Advance Decolonization Agenda as Pacific Regional Seminar Convenes". United Nations. United Nations. May 31, 2016. Archived from the original on February 28, 2017. Retrieved February 27, 2017. "Let us seize this opportunity to identify concrete actions to advance the decolonization agenda," Mr. Ban said ... according to the United Nations Charter and relevant General Assembly resolutions, a full measure of self-government could be achieved through independence, integration or free association with another State. The choice should be the result of the freely expressed will and desire of the peoples of the Non-Self-Governing Territories. ↑ "Secretary-General Urges Concrete Action to Advance Decolonization Agenda as Pacific Regional Seminar Convenes". United Nations. United Nations. May 31, 2016. Archived from the original on February 28, 2017. Retrieved February 27, 2017. ↑ McAvoy, Audrey (February 25, 2010). "EPA sharply criticizes military's Guam plan". Boston Globe. Archived from the original on May 12, 2011. Retrieved December 28, 2010. ↑ Parrish, Karen (July 20, 2012). "Carter: Guam Central to Asia-Pacific Strategy." Archived September 15, 2012, at the Wayback Machine American Forces Press Service. ↑ J. N. Deak (August 5, 1996). "PL-NANP-004" (PDF). North American Numbering Plan Administration. Archived (PDF) from the original on November 26, 2010. Retrieved October 12, 2010. ↑ 19 U.S.C. § 1401(h), available at https://www.govinfo.gov/content/pkg/USCODE-2016-title19/html/USCODE-2016-title19-chap4-subtitleIII-partI-subparta-sec1401.htm . ↑ 19 C.F.R. § 7.2(b) (2018), available at https://www.govinfo.gov/content/pkg/CFR-2018-title19-vol1/xml/CFR-2018-title19-vol1-sec7-2.xml . ↑ See generallyGuam v. Sugiyama, 846 F. 2d 570, 572-73 (9th Cir.) (Skopil, J., concurring), available at https://scholar.google.com/scholar_case?case=9438365734100701234, reh'g denied 859 F.2d 1428 (9th Cir. 1988), available at https://scholar.google.com/scholar_case?case=10182869947278559413 . ↑ 5 Guam Code Ann. § 73126 (2005), available at http://www.guamcourts.org/CompilerofLaws/GCA/05gca/5gc073.pdf#page=13 . ↑ Fritts, T.H. ; D. Leasman-Tanner (2001). "USGS: The Brown Tree Snake on Guam". Archived from the original on July 17, 2007. Retrieved July 28, 2007. ↑ Vice, Daniel S.; Engeman, Richard M. (2000). "Brown Tree Snake Discoveries During Detector Dog Inspections Following Supertyphoon Paka". Archived from the original on August 9, 2011. Retrieved June 7, 2009. 1 2 John M. Marzluff; Tony Angell (2007). In the Company of Crows and Ravens. Yale University Press. ISBN 0-300-12255-1. Archived from the original on December 30, 2015. ↑ Rodda, Gordon H.; Fritts, Thomas H. (1992). "The Impact of the Introduction of the Colubrid Snake Boiga irregularis on Guam's Lizards". Journal of Herpetology. 26 (2): 166–174. doi:10.2307/1564858. JSTOR 1564858. ↑ Rogers, H.; Hille Ris Lambers, J.; Miller, R.; Tewksbury, J. J. (2012). Siepielski, Adam (ed.). "'Natural experiment' Demonstrates Top-Down Control of Spiders by Birds on a Landscape Level". PLoS ONE. 7 (9): e43446. Bibcode:2012PLoSO...743446R. doi:10.1371/journal.pone.0043446. PMC 3436874 . PMID 22970126. ↑ "More Than 100 Protest Guam Carabao Cull". AnimalRights.net. October 15, 2003. Archived from the original on April 28, 2005. Retrieved June 15, 2007. ↑ Worth, Katie (February 28, 2004). "Two Male Coqui Frogs Found in Guam". Archived from the original on September 29, 2007. Retrieved July 19, 2007. ↑ Wostl, Elijah; Smith, Eric N.; Reed, Robert N. (2016). "Origin and Identity of Fejervarya (Anura: Dicroglossidae) on Guam". Pacific Science. 70 (2): 233–241. doi:10.2984/70.2.9. ↑ Hodgson, R. A. J.; Wall, G. C.; Randles, J. W. (1998). "Specific Identification of Coconut Tinangaja Viroid for Differential Field Diagnosis of Viroids in Coconut Palm" (PDF). Phytopathology. 88 (8): 774–781. doi:10.1094/PHYTO.1998.88.8.774. PMID 18944882. Archived from the original (PDF) on June 14, 2007. Retrieved June 16, 2007. ↑ National Park Service. "Fire and Guam". United States Department of the Interior . Archived from the original on December 13, 2007. Retrieved June 16, 2007. ↑ Brown, Valerie. "Guam's Marine Preserves". Pacific Daily News. Retrieved June 16, 2007. ↑ "Management of Contaminated Harbor Sediments in Guam" (PDF). EPA Guam Report. Archived (PDF) from the original on August 8, 2007. ↑ Packbier, Paul E.R. "Tumon Bay – Engineering a Better Environment". Directions Magazine; June/July 1996. Archived from the original on July 26, 2011. Retrieved October 19, 2011. ↑ Holmes III, Rolston (2001). "Environmental Ethics in Micronesia, Past and Present, Part II—Guam Today: Still "on the Edge." Colonial Legacy and American Presence". International Society for Environmental Ethics Newsletter. 12 (3). Retrieved June 16, 2007. ↑ "Politics Trumps Performance in Guam School System". Pacific Islands Report. June 15, 2006. Archived from the original on October 6, 2007. Retrieved June 16, 2007. ↑ "Merrow Report: First to Worst". Archived from the original on August 10, 2007. Retrieved November 8, 2007. ↑ "State Comparisons". 1996. Archived from the original on July 13, 2007. Retrieved November 8, 2007. ↑ Grace, Ted; Teresita Salos (1966). "Guam's Education Marches On". Peabody Journal of Education. 44 (1): 37–39. doi:10.1080/01619566609537383. ↑ "An act to establish a guam parental school choice program". 1999. Archived from the original on December 14, 2007. Retrieved November 8, 2007. ↑ "Rats, other problems face Guam schools." Pacific Stars and Stripes . October 3, 1993. ↑ Guam School to Be Renamed in Honor of NASA Astronaut William McCool |SpaceRef – Your Space Reference. SpaceRef (August 21, 2003). Retrieved June 13, 2012. ↑ "District and School Contact Information". pac.dodea.edu. Archived from the original on May 9, 2006. Retrieved May 10, 2006. ↑ Welcome to the official Guam Memorial Hospital Authority Website! – Tonyt Archived November 24, 2009, at the Wayback Machine . Gmha.org. Retrieved June 13, 2012. ↑ "Guam's CareJet Program Resumes Service". Air Medical Net. September 10, 2012. Archived from the original on April 5, 2016. Retrieved April 21, 2016. ↑ Sablan, Jerick (January 4, 2016). "No. 5: Guam Regional Medical City opens". Pacific Daily News. Retrieved April 21, 2016. ↑ "guam under pacman attack". YouTube. Retrieved November 16, 2018. "Guam". The World Factbook . Central Intelligence Agency.